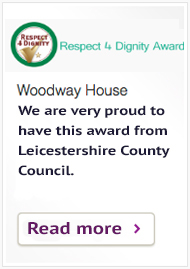 Woodway House is a part purpose built care home offering high quality respite, residential & dementia care. 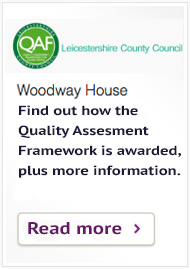 It is situated in the centre of Blaby in Leicestershire, a peaceful, residential village. The original nature of the building has been maintained with modern facilities. Each room has its own character and this reflects the personality of the resident. A family run business, established over 25 years, we provide a secure, spacious and homely atmosphere with great facilities. Our aim is to fulfil individual needs. Care is provided with kindness, patience and understanding, thus maintaining a high level of standard in care. Our home comprises of 28 single bedrooms and 2 twins, complemented with a large lounge, two smaller lounges offering privacy and a dining room. Furthermore, there is a well maintained patio area and car parking for visitors. 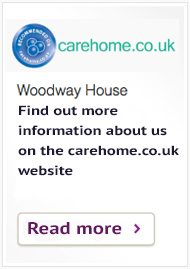 The Woodway House team is led by an experienced & fully qualified Manager. Both the Director and Manager have extensive experience working in conjunction with the NHS.